The Google Gboard app for iPhone is now on Android devices. Google’s Gboard app now available for android devices. Previously, the app was released for the iOS only. The new keyboard app for android brings few new features, including a search shortcut and true multi-language support. According to Google, the app has everything you love about Google Keyboard, speed and reliability, Glide Typing, voice typing, and more. The app also comes with Google Search built in, just search and share, right from your keyboard. 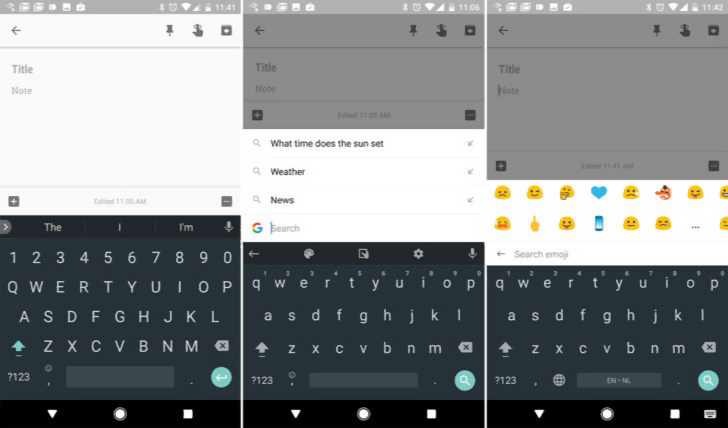 Gboard also has emoji search to help you find emojis faster, plus GIF search, and multilingual typing to let you switch languages on the fly.